Gonno is without a doubt an integral part of the current wave of house and techno in Japan. His releases have not only appeared on reputable local labels but have also made their way humbly over to the continent. Both his "Hammersmith EP" (Re-active Recordings) and acid house stormer "WC Succession EP" (Perc Trax) received extensive DJ support and Gonno has been proudly graced with the nod of approval from scene veterans/maestros/demi-gods Josh Wink and Laurent Garnier. His 2008 12 inch EP "I Don't Need Competition", featuring a Donnacha Costello remix, was a hit on the review circuit (Groove, De:bug etc.) with one review going as far as proclaiming it "a new generation of Detroit Techno". Gonno always manages to bring an acidy and melodic flavor to his DJ and live sets while still staying true to his house and techno roots. Without fail he draws clubbers in with eclectic sounds and the lost art of storytelling behind the decks/machines. As a result of his infectious sets he's played in Berlin every year since 2007 and has played at the likes of Bar25, Tape Club and Ritter Butzke. 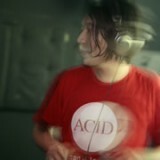 In recent years Gonno has even turned his hand to game music production in the form of tracks for a little game called "Gran Turismo 5" while at the same time remaining productive on the club music front. Last year his 12 inch "MERKUR 3" (Merkur Schallplatten) delighted Japanese deep house DJs in spite of a very limited vinyl release. Gonno's upcoming release, featuring the tantalizingly named track "ACDise #2", will drop in Autumn this year and is sure to raise the bar for his original melodic soundscapes in the future.